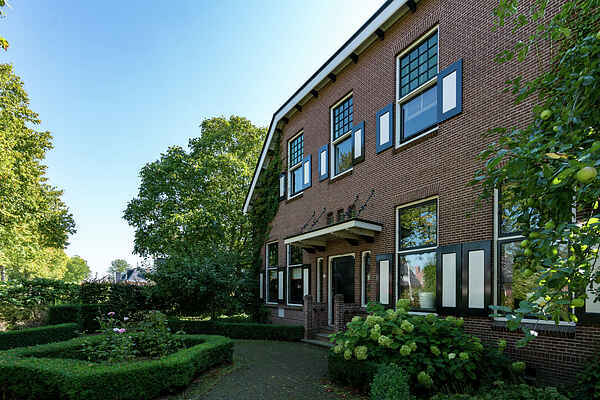 Looking for a spacious villa with Jacuzzi and steam shower near the islands and the Frisian capital of Leeuwarden? Stay with your family and / or friends groepe Beautifulhalf in this historic building where every room tells its own story and brings you back 100 years in time! Once you step inside the villa you will feel at home! The homely atmosphere in the warm colors, the authentic details and many light falling into the villa. The vestibule leads into the reception room, fine sitting rooms, the kitchen and the beautiful back room overlooking the green garden terrace. During your stay at the Wellness & Fitness, a game of billiards or swim in one of the many books! Discover the unique loggia and enjoy the evening sun! The villa is centrally located on a plot of 2000 m2! Sint Jacobiparochie is a peaceful village where you can enjoy typical regional dishes. Very worth the seaport city of Harlingen, the Eleven city Franeker and the islands of Vlieland and Terschelling. Particularly in Sint Jacobiparochie is that here starts the pilgrimage route to Santiago de Compostela.